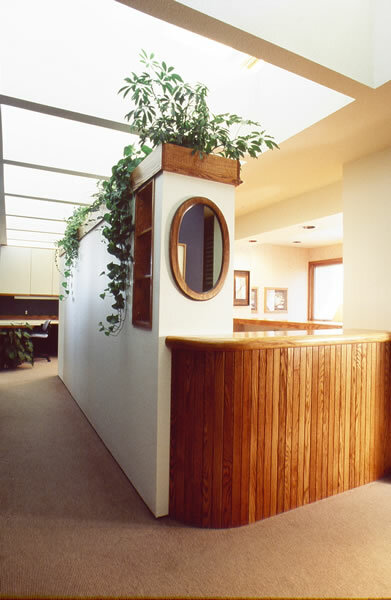 The Nexus Studio evolved out of WJM Associates PC, a fee-based architectural firm founded by Bill McCaffrey, a licensed architect. 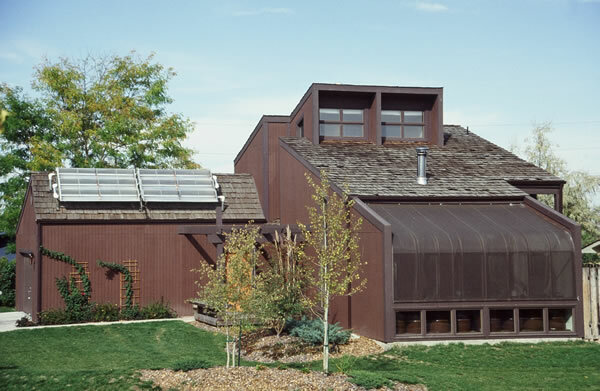 WJM Associates specialized in energy efficient design, was a paid consultant to the Solar Energy Research Institute (now known as the National Renewable Energy Laboratory), and was recognized nationally by the Department of Energy for its contribution to the nation’s energy efficiency. 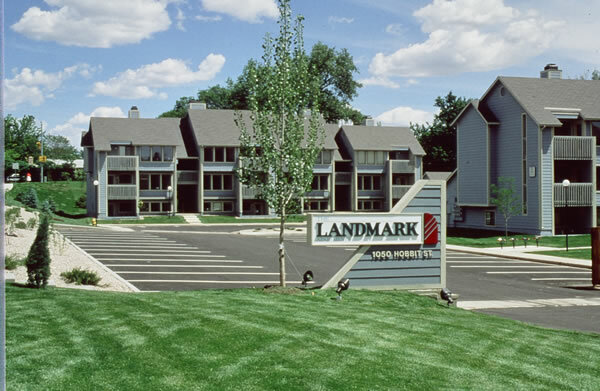 Several of its designs received prestigious national awards and 30% of WJM Associates work was innovative land planning for residential and mixed-use projects—similar to cottage housing. 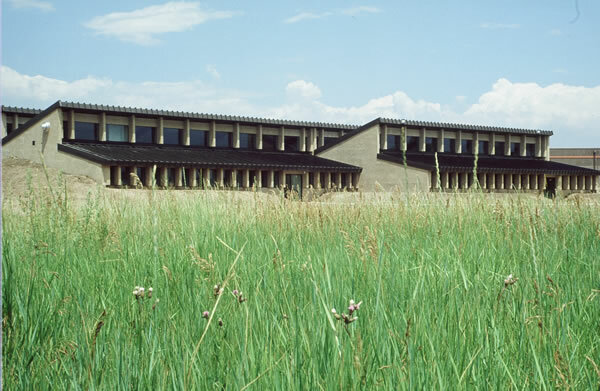 From passive solar custom homes, production housing, and multi-family projects, to naturally "day-lit" schools, commercial office and industrial buildings, we have been leading innovators in cutting-edge, environmentally responsible design and construction. 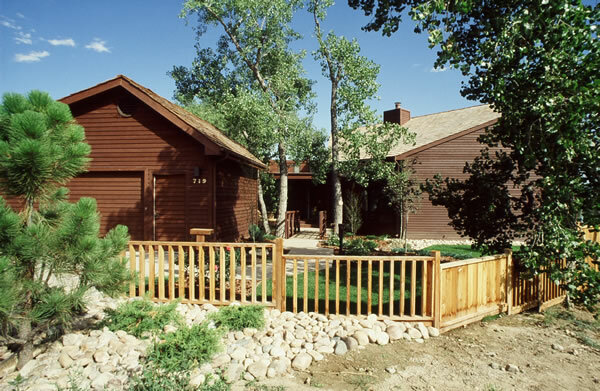 Air lock mine shaft entry to earth integrated passive solar custom home. 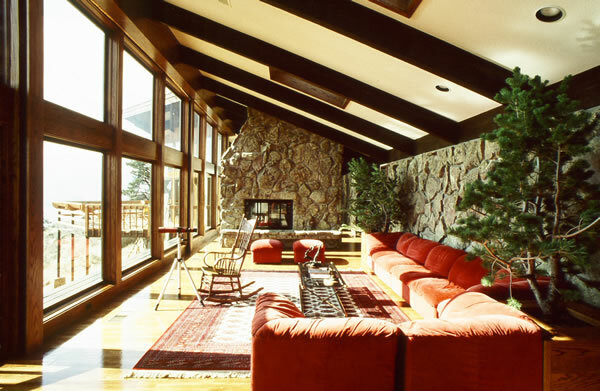 Living room with hidden blinds and movable insulation, and moss rock mass wall. 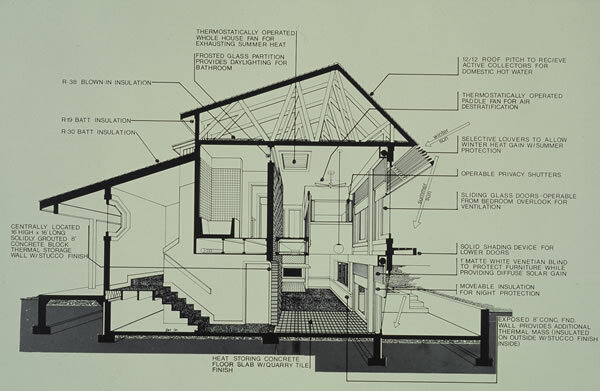 Passive solar systems operating diagram indicating integral thermal mass. 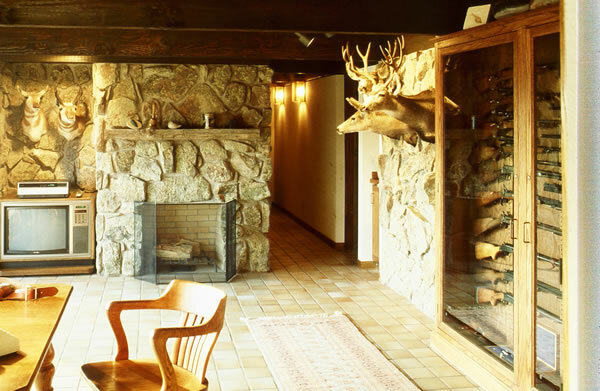 Downstairs "Hunt Room" over radiant rock bed with a Rumsford fireplace. 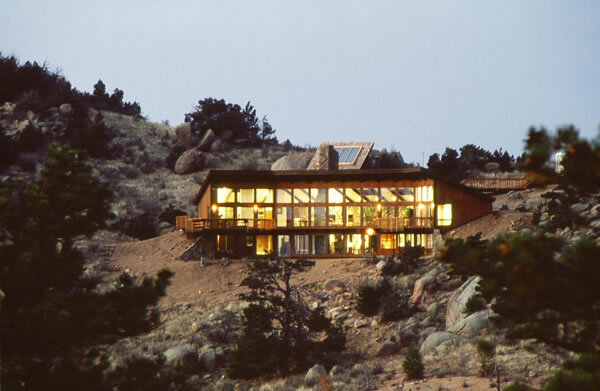 South elevation of earth integrated passive solar home with solar hot water. 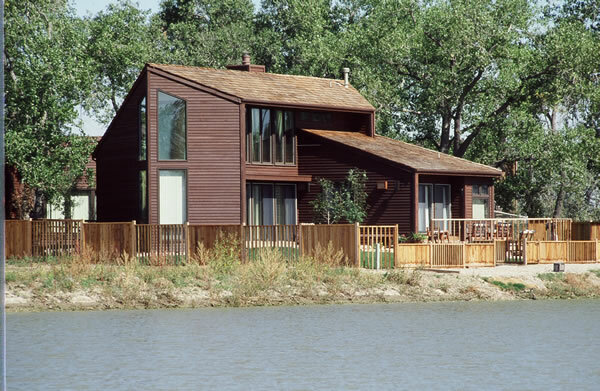 North side bridge to air lock entry of passive solar custom home. 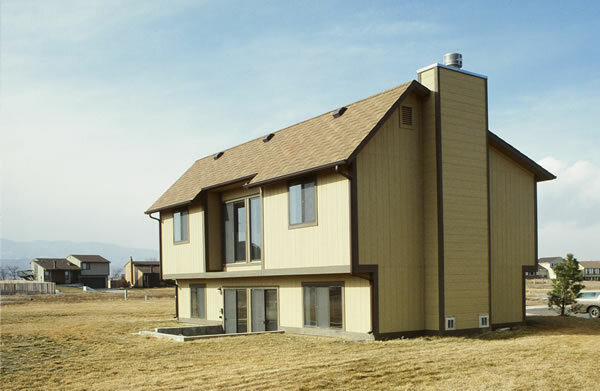 South elevation of lakeside passive solar custom home with integral sun control. 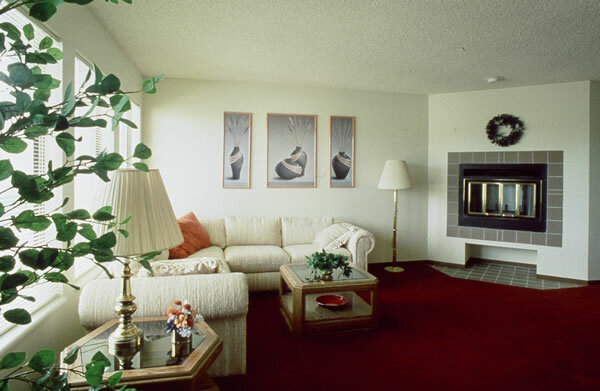 Living room with movable insulation and brick mass wall. 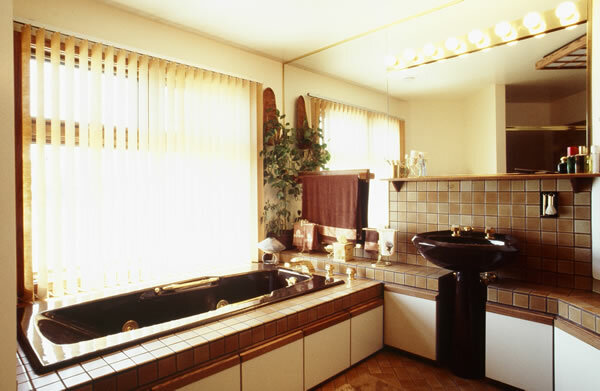 South facing master bathroom with iron tub and extensive tile for thermal mass. 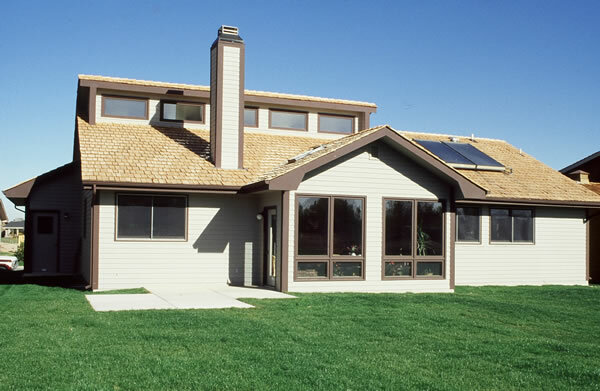 Custom solar home with seasonal shade over greenhouse and solar hot water. 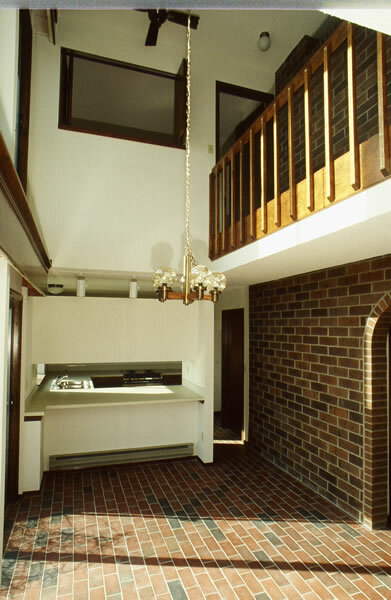 Great room with tile floor and sloped ceiling to clerestory venting windows. 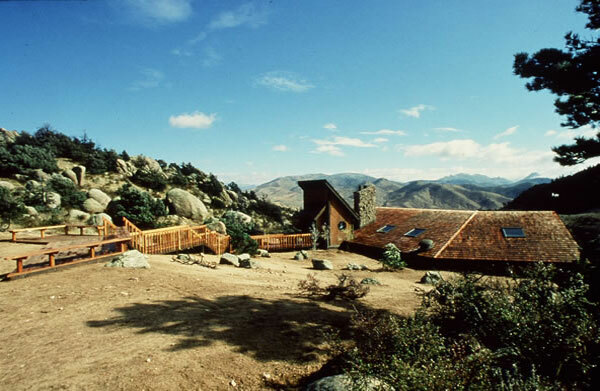 South side of passive solar production house with clerestories and solar hot water. 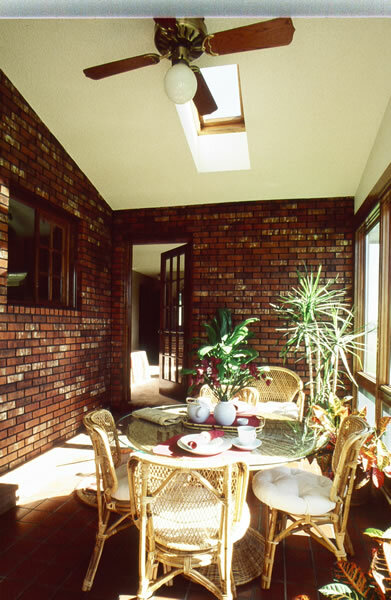 Sunspace with tile floor, brick mass walls, and venting skylights. 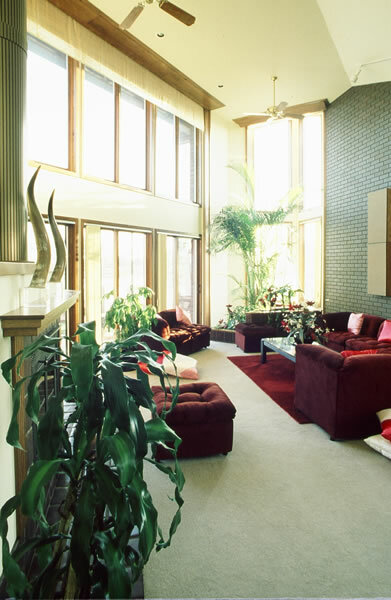 Great room with central clerestory windows and common sunspace mass wall. Production solar home sponsored by US Solar Energy Research Institute (SERI). 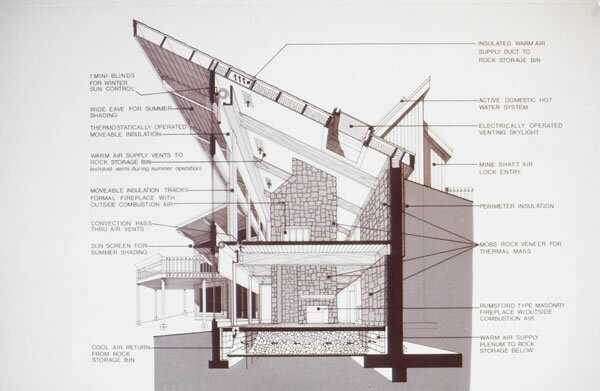 Passive solar operating diagram for SERI model home indicating thermal mass. 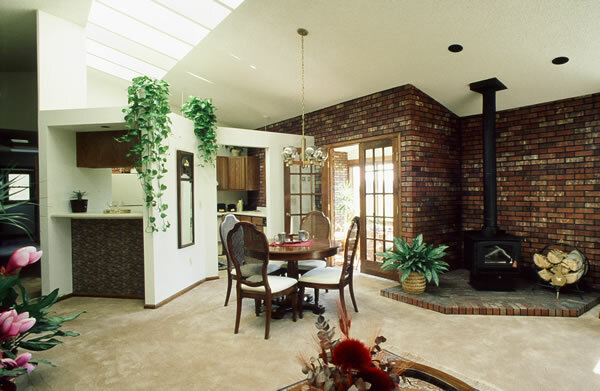 SERI home central sunspace with brick floor, and central mass wall. 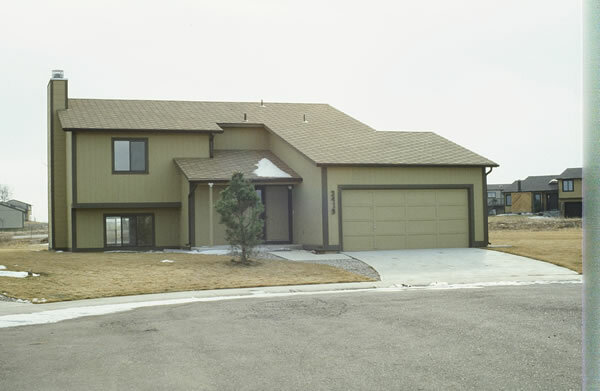 North side street elevation of SERI production home model. 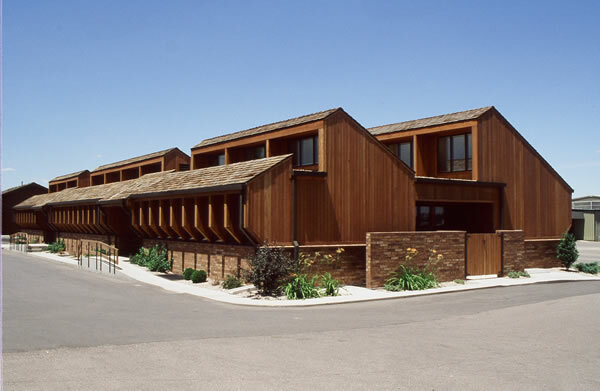 Passive solar HUD subsidized apartments with integral south side sun control. Living room with south glazing for heat gain and mini blinds for sun control. 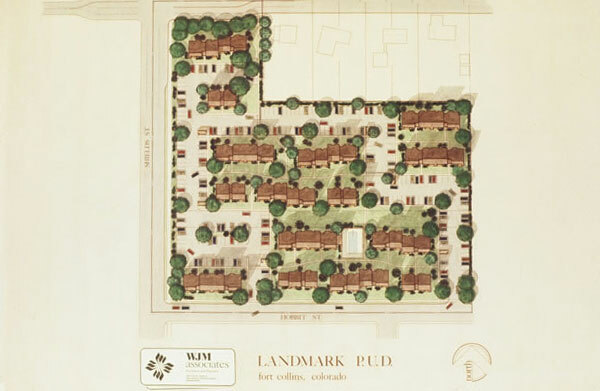 South oriented site plan for 150 unit passive solar HUD apartment project. 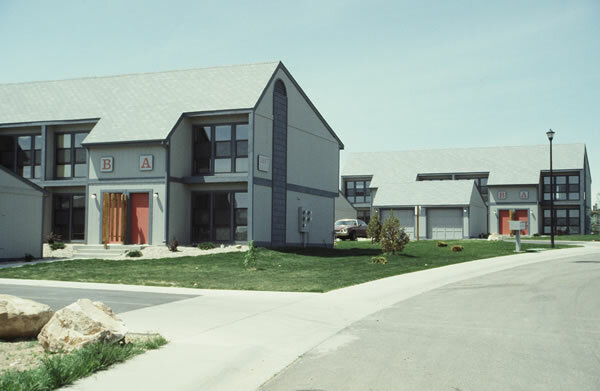 South side of passive solar townhouses with airlock entry and integral sun control. 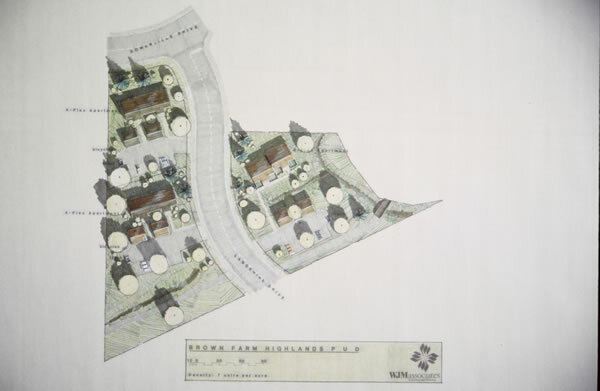 South oriented site plan for 12 unit passive solar townhome project. 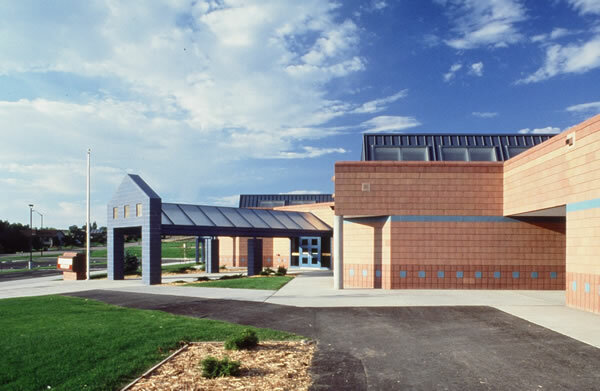 Entry to prototype elementary school with rooftop daylight monitors. 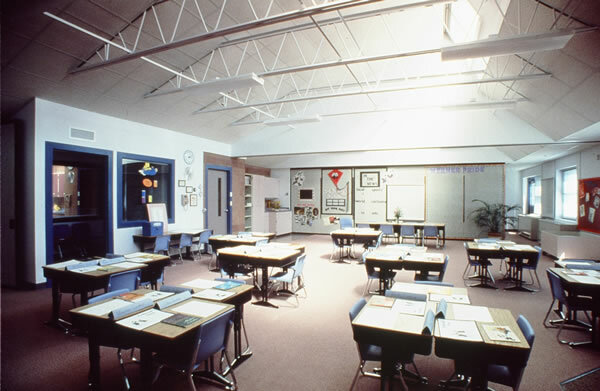 Naturally daylit classroom by overhead daylight monitors with movable insulation. 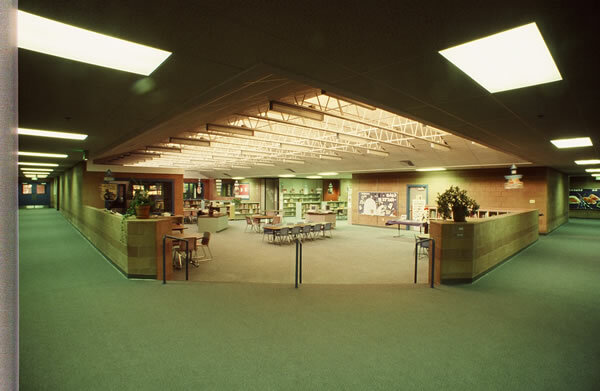 Naturally daylit media center by overhead daylight monitors with movable insulation. 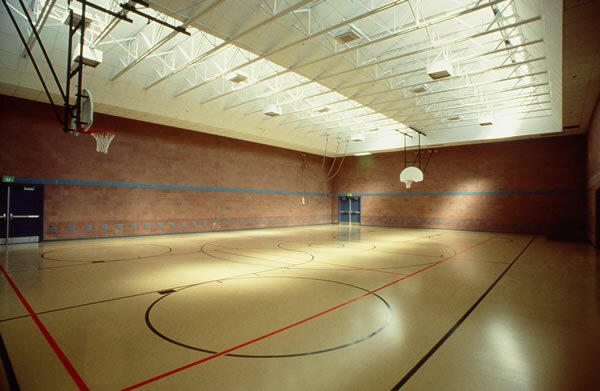 Naturally daylit gymnasium by overhead daylight monitors with movable insulation. Daylight monitors on roof all have movable shades for insulation and sun control. 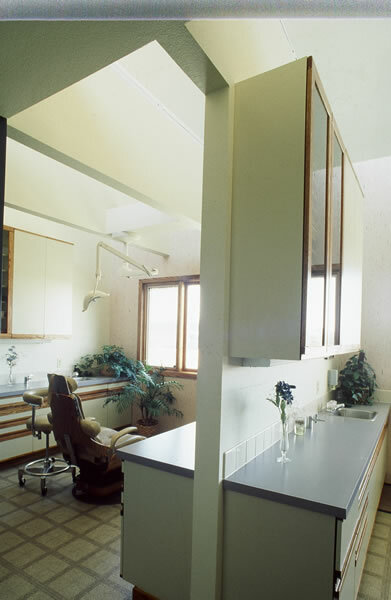 Daylit medical office with roof daylight monitors and baffled south windows. 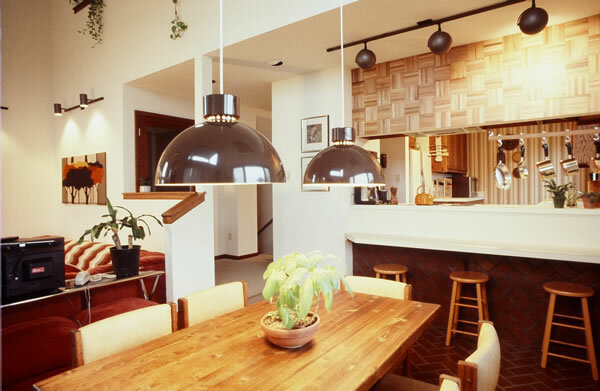 Natural area illumination from daylight monitors and baffled lower windows. 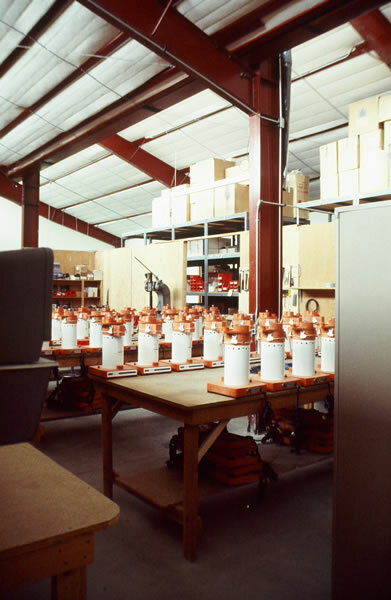 Natural daylight from roof monitors supplement dedicated task lighting. 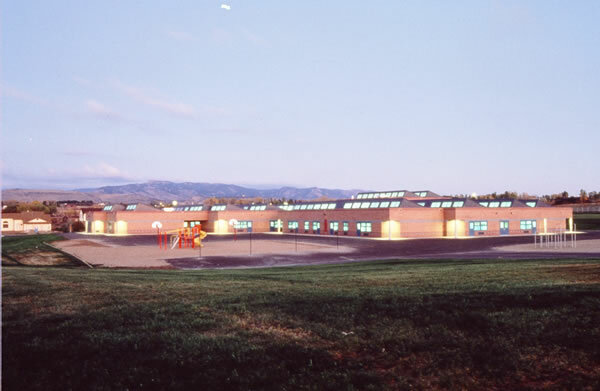 Earth bermed manufacturing with daylight roof monitors and baffled south windows. Entire manufacturing area is naturally daylit from roof daylight monitors.